You requi­re assi­s­tan­ce in imple­men­ting your com­mu­ni­ca­ti­on activi­ties. You need well writ­ten con­tent for your media rela­ti­ons, your web­site, your cor­po­ra­te blog. 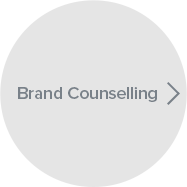 You are inte­rested in pro­mo­ti­ons and brand part­nerships. You need orga­ni­za­tio­nal sup­port for road­shows, events, tra­de fairs. You are loo­king for expe­ri­en­ced part­ners for your cri­sis com­mu­ni­ca­ti­on. We work as your exter­nal com­mu­ni­ca­ti­ons depart­ment and act as a rapid respon­se and pro‐active Press Office for media enqui­ries, pro­mo­ti­on and coope­ra­ti­on requests. In clo­se con­sul­ta­ti­on with the manage­ment, we defi­ne topics and messa­ges. We are your eyes and ears in the mar­ket, we will moni­tor opi­ni­ons, feed­back and trends and advi­se you in regards to your public image. Such coope­ra­ti­on is fixed at one year or more. Plea­se call us for a first exchan­ge of ide­as.